Shopping for Historical Figures Bed and Bath? Whatever it is that lets you avoid "A Momentary Lapse of Reason," this pill box will hold on tight for you in two separate handy compartments. 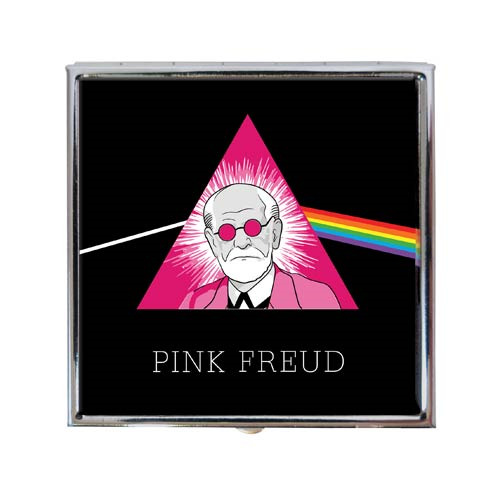 Thanks to the Pink Freud Pill Box, the father of psychotherapy gets a little psychedelic. The pill box measures 2 1/2-inches in diameter and 5/8-inches deep.